Une maison témoin | One quality, the finest. I stumbled across a French TV series on Netflix; if you like suspenseful police thrillers, I think you’ll enjoy it. 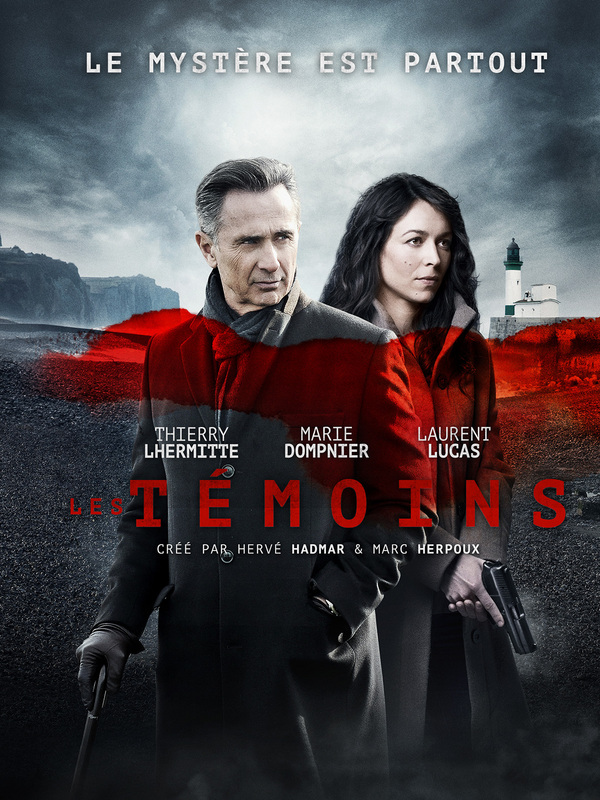 It’s entitled Les témoins (tay-mwahn), which means “Witnesses.” One of the main characters, retired detective Paul Maisonneuve, is played by Thierry Lhermitte. I’m used to seeing him in comedic roles (Le dîner de cons, Quai d’Orsay), but he’s equally adept in a dramatic role as a retired cop with secrets of his own. His sidekick (Holmes always has Watson), is the beautiful Marie Dompnier, but she’s no mere foil character in the role of brainy Sandra Winckler. The series has only six episodes and they’re subtitled in English. It’s well written and well acted. I hope you’ll enjoy it if you check it out. I learned a new phrase watching the show – une maison témoin (oon may-zohn tay-mwahn) means “a show house.” The crime scene is a show house in a new development – with a perfect family staged inside – not exactly good for real-estate values! This entry was posted in Media and tagged Les témoins, Marie Dompnier, Thierry Lhermitte, une maison témoin. Bookmark the permalink.